So it isn’t just about the unimpressive styling, as the 2019 Chevrolet Camaro has lower fuel economy numbers than the outgoing model. 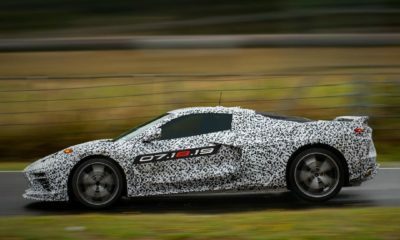 As we have stated briefly in one of our previous posts, the 2019 Chevrolet Camaro isn’t a unanimously loved car. Not many have liked the styling direction adopted by Chevy for its iconic muscle car, though it has got a bit cheaper to buy. In fact, though it is not as bland a looker in the real world as it is in the studio shots, the new Camaro is going to take a while to win back its lost fans. And to make matters worse, the EPA reports have come out and the fuel economy figures aren’t looking that great for the Chevy. While the four-cylinder-powered cars and the ZL1 do got to keep their fuel efficiency figures, the same can’t be said about the V6 and V8 variants. The V6 automatic lost 1 mpg in the combined driving cycle and the V6 manual bid farewell to 1 mpg on the highway. The V8-driven SS had a much more sorrow story to tell. 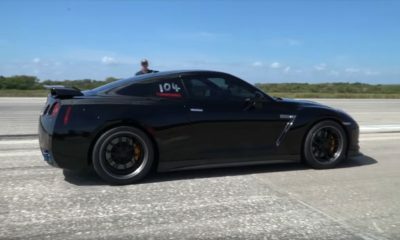 The 10-speed automatic taken from the ZL1 was expected to work wonders for the Camaro SS. But, the reality was something else. The SS automatic’s fuel economy in the city dropped from 17 mpg to 16 mpg. The manual Camaro SS had a similar tale to tell, but on the highway with the economy coming down from 25 mpg to 24 mpg. While these figures aren’t exactly going to turn away prospective buyers, it’s still another stick for the critics to poke the 2019 Chevrolet Camaro with. Ferrari Teases new Supercar on Private Website. Is it the 812 Monza?